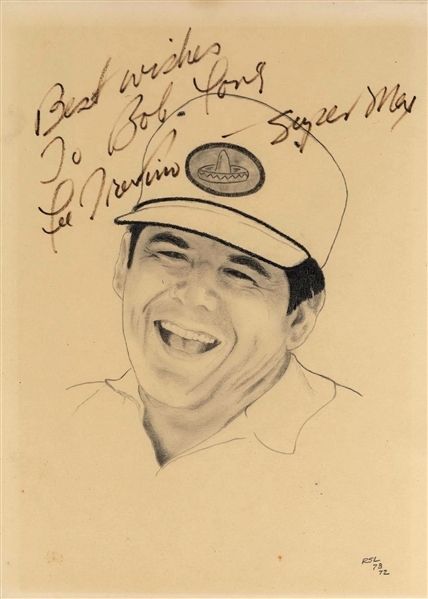 Original 8 1/2" x 11" pencil sketch portrait of Trevino signed and inscribed in ink "Best Wishes to Bob Long Lee Trevino-Super Mex". Trevino is a retired American professional golfer regarded as one of the greatest players in professional golf history, and the greatest Hispanic golfer of all time. He was inducted to the World Golf Hall of Fame in 1981.